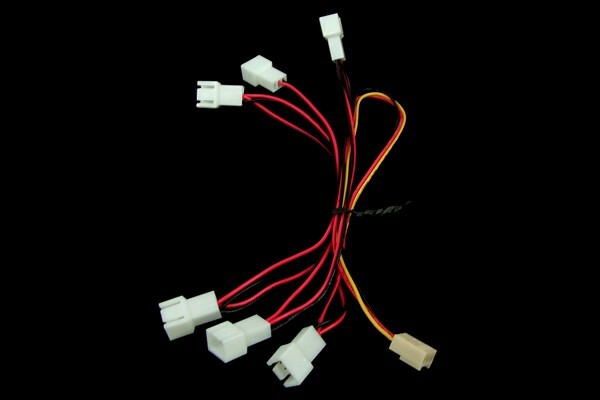 Adaptor for connection of six 3-Pin fans (radiator fan, case fan etc.) on one fan connector (3-Pin). Please note that rpm monitoring is only possible with one of the connected fans. Please note: When using this adaptor please check the capabilities of the used socket as well as the power draw of the connected device. Too high loads may cause damages!